React components are the building blocks of more and more web applications. React’s component-based approach turned UI development into a composition of reusable and extendable components. Up until recently, sharing components was done mostly via monolithic UI libraries. When all you need is a reusable component adding an entire library can be an overkill that bloats your bundle and slows your development. 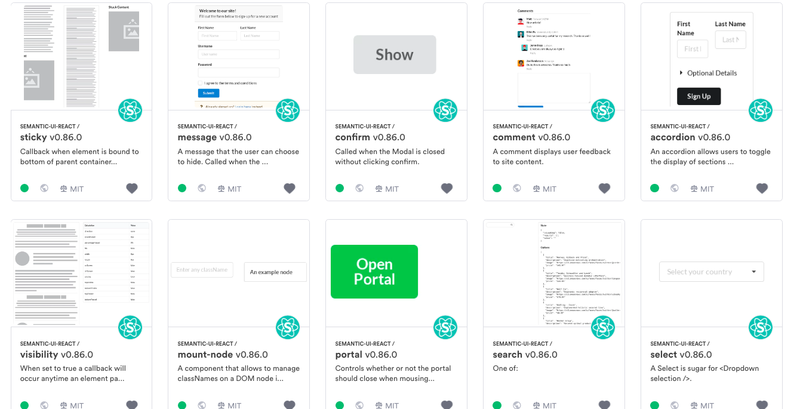 Bit is a powerful open source tool that lets you share and reuse individual components from any project or library. 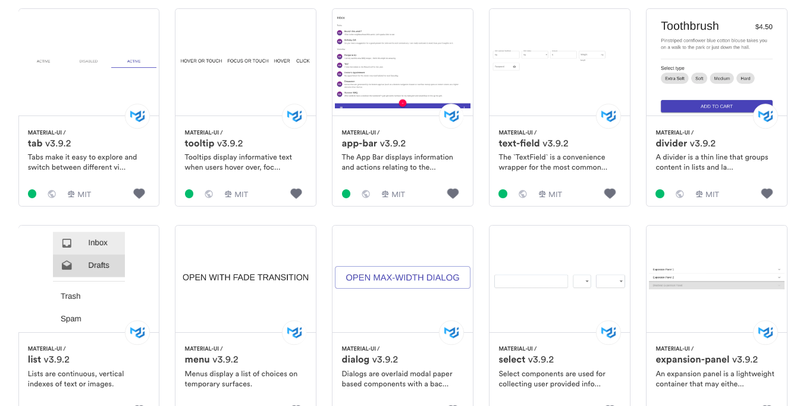 When combined with React libraries, you can instantly get a collection of individual components you and your team can share and manage across your projects and applications. It also provides cool added features like a live playground, auto API docs and more. To help you find and use the React components you need, here are 7 unranked collections (+ bonuses) for popular and useful React libraries. Grommet is a beautiful and highly-maintained React library by HP with nearly 6k stars. 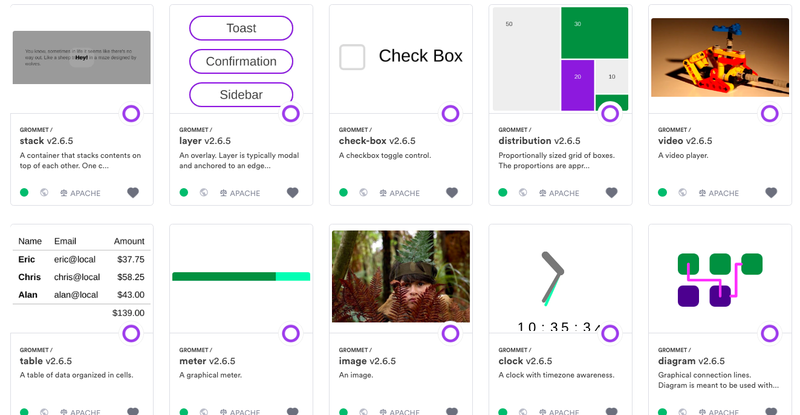 It provides dozens of UI components with great modularity, accessibility, responsiveness, and theming. Take a look at the components! Here’s the Grommet Chart component in Bit’s playground. Like it? install it. Bonus: 550 icons as individual components! Semantic-UI-React is a truly great 10k stars React UI library implementing Semantic-UI as React components. Apart from the beautiful and innovative design concept, it’s highly maintained and well developed. Feel free to explore the components in the collection, choose and use the ones you need. Bonus: Over 5K icons as individual components! 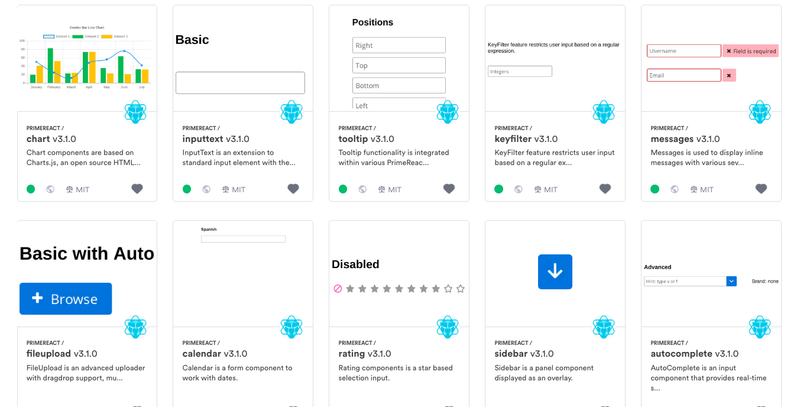 Primereact is a library with over 70 rich UI components for React. It’s enhanced with touch-responsive elements for mobile and comes with different themes out of the box (including a free admin template). Explore its beautiful Bit collection to find and use the components you need. React Bootstrap is a 15k+ stars component library with a simple concept: Bootstrap components built with React. 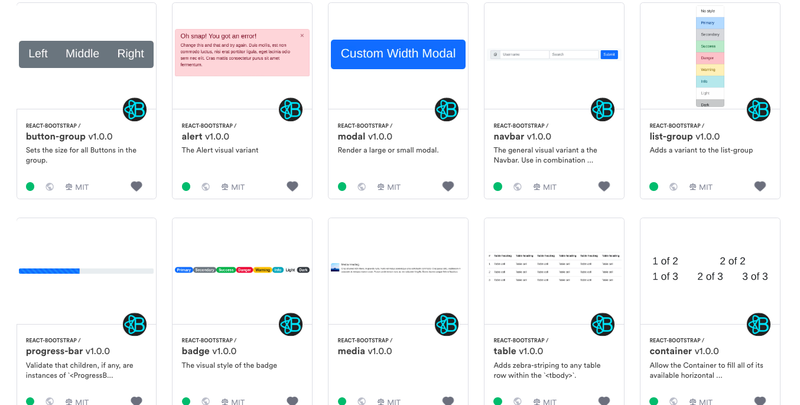 As one of the oldest React libraries, react bootstrap it aims to integrate the Bootstrap ecosystem (including themes etc) into React components, gaining the best of both worlds. Take a look. React foundation is a UI library that implements Foundation as React components. It’s feature-rich yet simple and flexible, using pure render components also known as stateless components, whenever possible to keep the memory usage to a minimum. All components are fully unit-tested. like. React spinners is a pretty awesome UI library dedicated to React loading spinner components based on Halogen. Each loader has its own default properties and you can overwrite the defaults by passing props into the loaders. Looking for a spinner? well, you’ll probably find it here. Explore Bit’s component hub to discover components shared from popular open source projects- not only for React. Feel free to use Bit to share your own components with the community or your team. Hope you enjoyed!